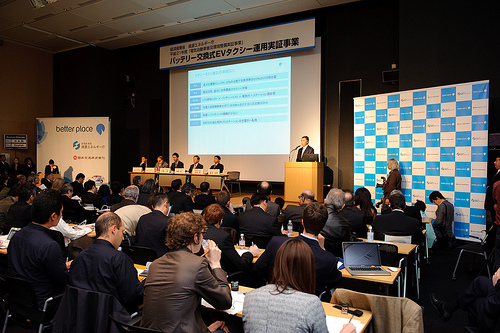 This past Monday, the electric-vehicle infrastructure provider Better Place held a press conference in Tokyo at the site of its first completed battery-swap station to be put into regular usage, in the Ropongi Hills area. Together with Nihon Kotsu, Tokyo's largest taxi company, the company will test four fully electric taxis operating in regular duty in Japan's capital city for three months. Each cab racks up 170 to 180 miles a day over 18 hours of service a day. The cabs are specially modified versions of the Nissan Dualis (sold in the U.S. as the 2010 Nissan Rogue compact crossover). Each carries a 17-kilowatt-hour lithium-ion battery pack that will provide roughly 90 kilometers (56 miles) of range. That's a smaller pack than the 24-kWh versions to be used in the electric Renault Fluence vehicles that will be the first Better Place cars in volume production. Better Place says switching out the lithium-ion battery takes only 60 seconds. But, explained Julie Mullins, the goal wasn't to maximize the taxis' range but to test the pack-swapping process and the effects of frequent swaps on the battery packs themselves. Customers who hail the electric cabs and request lengthy trips to distant destinations will be redirected to a conventional hybrid or gasoline taxi. Electric taxis are ideal for dense urban environments, as they use little energy while stopped in traffic and produce no vehicular emissions. The drawback, though, is the lengthy recharge time--which is what the battery switching is meant to address. Tokyo's 60,000 taxi cabs represent 2 percent of vehicles on the road, but emit fully 20 percent of total emissions due to their continuous use. That number, by the way, exceeds the combined total cab fleets of New York, Paris, and London. Founded in 2007 by entrepreneur Shai Agassi, Better Place proposes to sell transportation by the kilometer to customers in Israel, Denmark, and other markets. The cost of the vehicle and the electricity to recharge it will be rolled into those fees, rather as mobile phones are sold in packages of minutes that include a free or discounted handset. 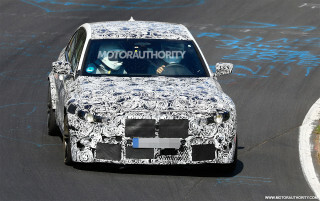 Better Place will provide Renault Fluence sedans to customers when it launches in Israel in the second half of 2011. 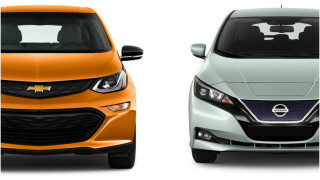 Nissan and Renault are partners in electric-car technology, which will launch first in the 2011 Nissan Leaf compact hatchback that goes on sale late this year. The Fluence is just the first electric car for Renault, which showed four electric models at last fall's Frankfurt Motor Show. One ACE reader in Denmark interviewed the Renault distributor on both companies' rollout plans in that country. The Tokyo test came about after Better Place demonstrated its battery-swapping technology in Yokohama last year. Japanese government officials suggested the trial as a way to ascertain how practical the battery swapping would be in real-life use. The Tokyo event follows February's opening of a battery-swap facility and informational center inside a former gasoline tank outside Tel Aviv, Israel. 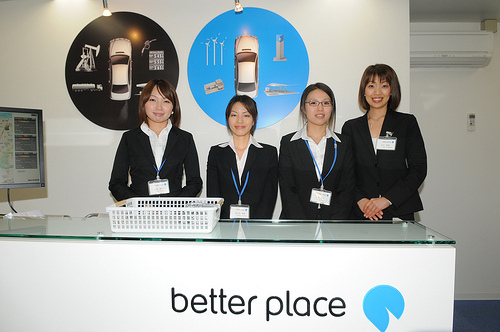 Better Place won a further $350 million in funding from financial institutions and venture capitalists that same month. 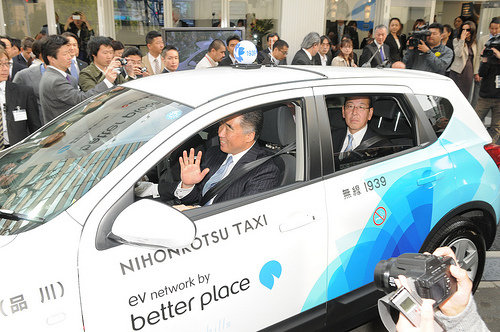 Never shy, founder Agassi boldly predicted at the Tokyo rollout that by 2022, every taxi cab would be electric.